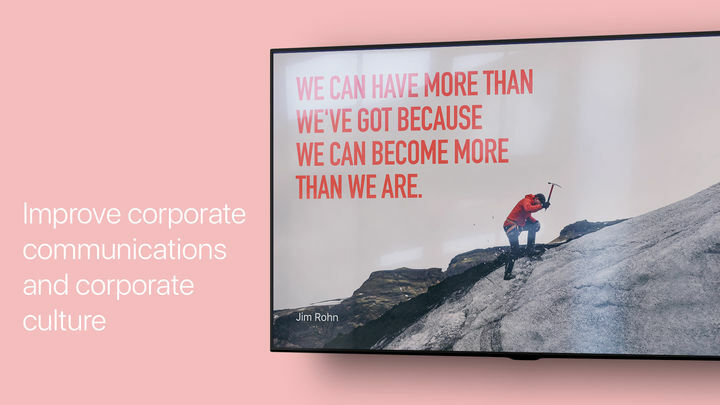 Kitcast lets you show beautiful and relevant content on your screens to impress visitors or communicate with your employees. You connect Apple TV to the screen, download Kitcast application on your Apple TV, run it. Follow the instructions on your screen. Start running content in a minute. 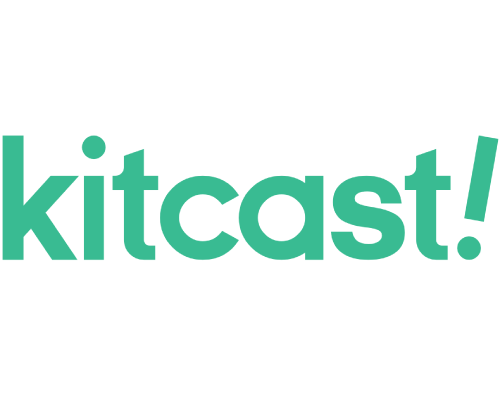 Kitcast lets you skip the hassle with choosing the right device, weighing prices, and comparing models. 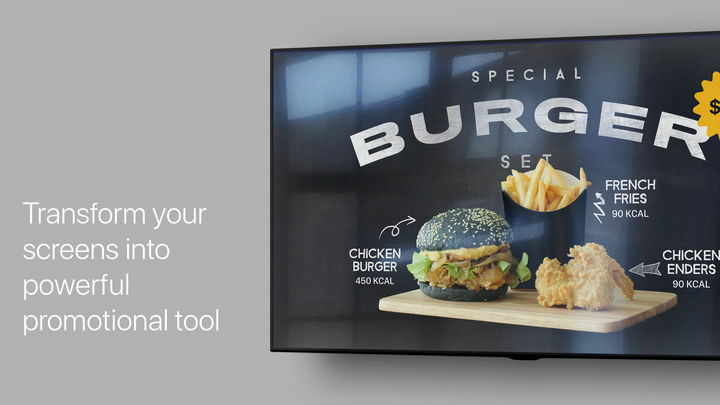 With Kitcast you can instantly upload images, videos, messages, menu boards across multiple displays. 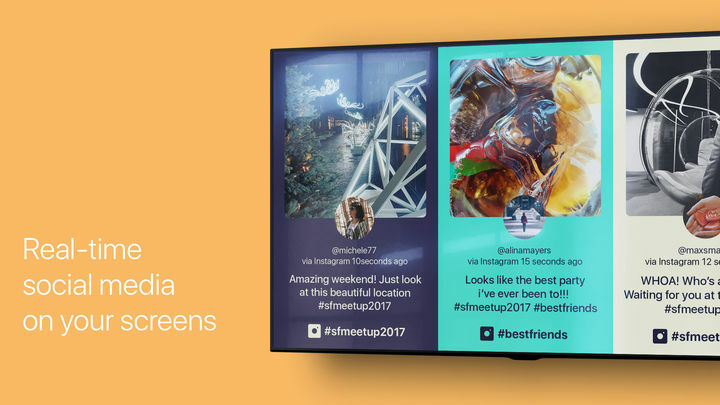 Create an interactive experience by featuring live feeds from Instagram, Twitter, and Yelp. Tons of popular services and widgets like weather and news are already integrated and ready for use. Every template was designed using data analysis. 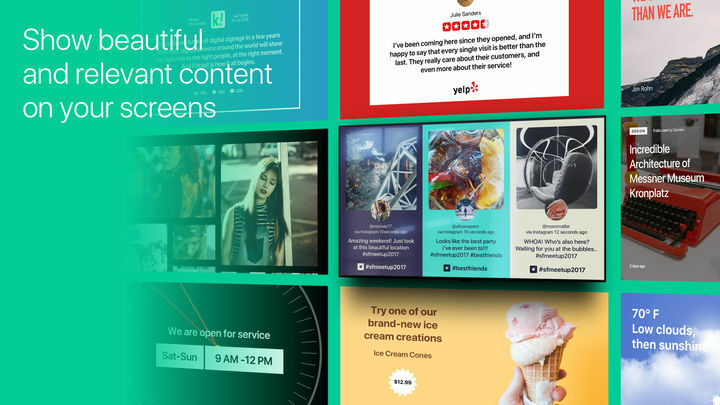 We looked into how people react to different content and made templates that work perfectly with digital signs for business. Kitcast can help you only show promotions your customers react to. Our technology employs advanced machine learning, so the more you use it — the better it performs. You can run Kitcast on as many displays as you need. And with live monitoring, you'll always have the latest security updates and new features. 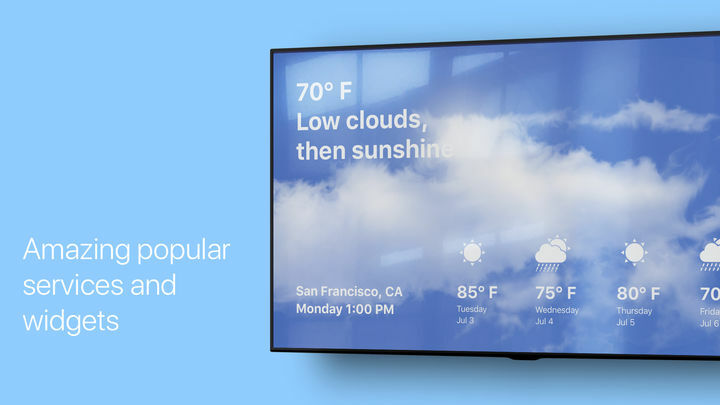 The more your network grows, the more data is transferred because your digital signage becomes more intelligent. That’s why we built a Less-Time-Request system to speed up every part of your network. Updates, content delivery, caching — everything works at lightspeed.